When the plague came, federal agent Ellie Colson fled into the Adirondacks with Dee, the daughter she barely knew. They began a new life as subsistence farmers, isolated from the fall of the world. In the six years since, a small community has arisen from the ashes. Dee is grown up. She's engaged to Quinn, a young man from across the lake. And she's being hunted. Strangers are spying on the farms at night. Dee's harassed by a spurned suitor. One of Quinn's dogs turns up dead. Drawing on her old skills, Ellie launches an investigation of the locals. Turns out Quinn's dad has made some bad decisions. Some enemies, too. The strangers aren't after Dee - they're after Quinn. When he goes missing, Quinn's dad fears the worst. But Ellie has a lead. She and Dee track the kidnappers into the post-apocalyptic wilderness of New York - and into darker lands than Ellie could ever imagine. What would have made Reapers better? The story is just boring. The plot meanders along with none of the epic battles or confrontations that made the previous books so good. I started skipping ahead half way through desperately hoping the story would get better. What was most disappointing about Edward W. Robertson’s story? Have you listened to any of Ray Chase’s other performances before? How does this one compare? Ray Chase is excellent, as always. 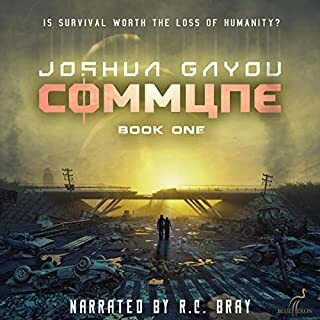 Where does Reapers rank among all the audiobooks you’ve listened to so far? Very high. 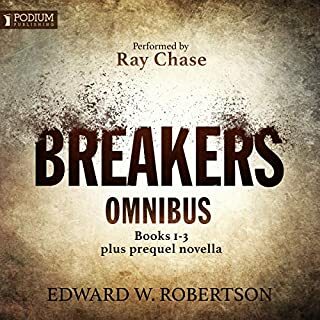 All of Robertson's audible books that he has put out so far are read by Ray Chase who is one of the best readers. I hadn't heard him before but was so happy as he has the characters down pat. 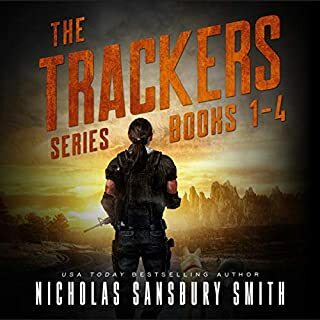 A great continuation in the Breakers series. I have all the ebooks and all the audible books. Yes they are worth reading AND listening too. Definitely worth "reading" twice. Absolutely - I put in my ear buds and went about my day with chores and running around. Any Robertson book is not only worth reading but listening to. One of my favorite authors. A great series, except for this one. I really don't know what happened here. Did the author have a stand-alone cowboy novel that he decided to incorporate into Breakers? The characters are way too silly. The story is way too boring. I ended up not finishing it. Skipping to the epilogue where the story does go back to some of the previous characters. No harm done. You can simply skip this novel and go straight to Book 5 in the series without missing a thing (except a drawn out story). 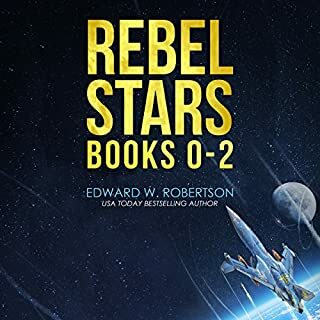 If you’ve listened to books by Edward W. Robertson before, how does this one compare? I felt that this was not quite up to par from the Breakers 3 book series which I rated a 5. It's tough to go to book 4 and compare to to a previous book that I rated a 5- you go in with high expectations and it wasn't up to par. But in all fairness, I don't rate books a 4 or 5 too often, so if you liked 'Breakers' you will enjoy this book. 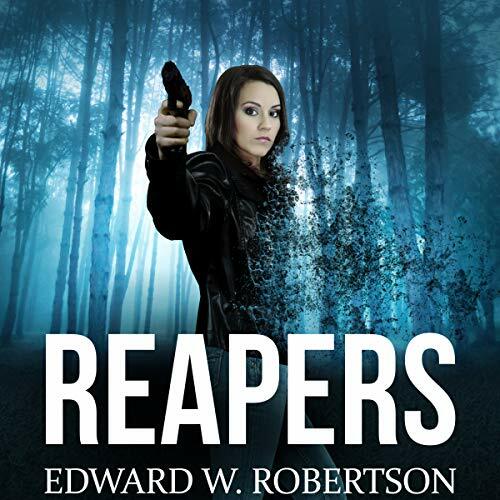 Do you think Reapers needs a follow-up book? Why or why not? I felt that 'Breakers' was great and I know that there are several follow ups to this series-Reapers being the first. I hope that book five can pick up the energy and characters that you can get in to that the first three books 'Breakers' had. I'll soon find out! I’ve enjoyed this series. It’s a nice change in apocalypse genre as it’s not zombies. I’m working my way through them all. I’ve found them engaging. Not the best but pretty darn good. This series has been decent and kept me buying when my other series are in between books and Ray Chase is great. This book though seems only slightly more exciting than my own life. Squabbles between country neighbors in this volume to follow up island battles, nuclear meltdowns and alien attacks in past books? This felt like a side story about someones daily life for much of what I was able to finish. Probably the book that ended the series for me, a series I was already luke warm on. Other glaring issue was the similarity in the two story line voices. Struggled to know which story line I was currently on as both female leads were basically the same person. Cut from one gritty, action movie tough female lead to the other gritty action movie tough female lead with almost the same voice. Felt forced and a bit far fetched (Show up one day a stranger and instantly be the lead character in a huge gang organization because you have gritty answers?) Meh. This is one of the really good series, i am glad that I found it. 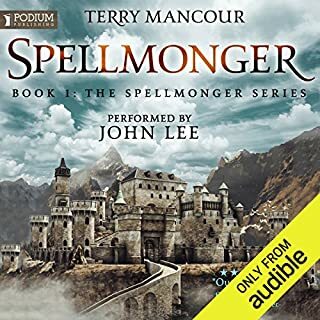 Love this series - it has a good story that keeps you guessing and the narrator is great with his accented characters. Well worth the listen !! A bit like "The difficult 3rd [sic] Album"
Would you listen to Reapers again? Why? I think its a crucial step in the series, and deals with some interesting situations. Its different from others in as much as the 'apocalypse' has now taken hold and we're dealing with other threats now. What other book might you compare Reapers to, and why? Its an apocalypse book, there are a myriad out there, but this series is one of my preferred. Which character – as performed by Ray Chase – was your favourite? The sheriff, amusing and quirky. 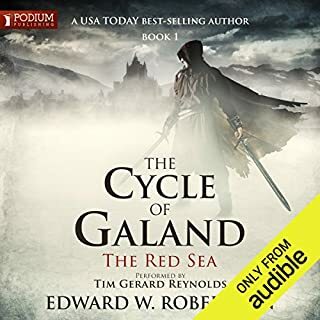 Good narration, good story, not the best in the series, but still worth a listen. If you're new to the series, you should start with The Breakers Omnibus (the stories preceding this book). Overall, this is a good continuation with the series. I would say that Ellie doesn't seem quite as kick arse as she was in the prequel novella, but this is certainly worth a listen.